In practice, widespread groupware clients, such as Lightning (Thunderbird) and Evolution tend to be pretty quirky in this scenario, in that they do not – or at least do not correctly – support service discovery. For clients affected by this issue, users need to specify the full calendar or address book URL. If users have several calendars, they need to configure each calendar separately. Again, it is evident that many mail clients were never intended for enterprise groupware operations (e.g., Thunderbird) or that too few developers work on it (Evolution). Unfortunately, users currently can only display the ICS (Internet Connection Sharing) address in Roundcube, not the CalDAV URL of each calendar. You thus need a different approach to discover the URL of your Kolab calendar. 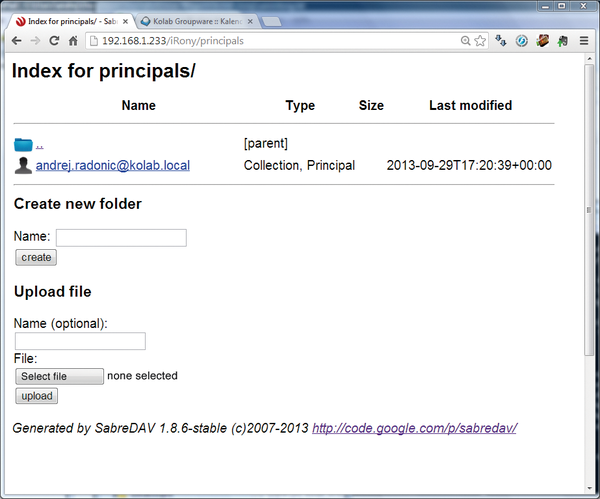 The obvious method would be to elicit the Kolab server's DAV directory structure by calling the iRony URL. When you first call http://<Kolab-Server>/iRony , the Kolab interface turns out to be quite recalcitrant, responding to calls with the message shown in Listing 3. Although this response only shows that the interface is working correctly and is therefore not regarded as a fault, it is extremely impractical for test purposes. To improve the module's behavior, you need to add a SetEnv DAVBROWSER 1 to the Apache configuration for iRony in /etc/httpd/conf.d/iRony.conf. After an httpd restart, you can finally call the iRony URL and explore the user-specific directory structure (Figure 2). Figure 2: iRony needs a little convincing to reveal its inner structure. Now you can install Lightning as the calendar plugin  for Mozilla's Thunderbird email client and connect with the groupware. The latest Thunderbird is advisable, as is a recent version of Lightning. In the taskbar, choose New | Calendar ; then, in the configuration dialog, select Network as the type and CalDAV as the format before defining your calendar with the CalDAV URL you determined previously. Finally, Thunderbird prompts you for user data, as shown in Figure 3. If the data is correct, Lightning synchronizes your appointments with the Kolab server without complaint (Figure 4). However, many features are still missing, such as support for tasks. If Thunderbird users want to access Kolab address books in their mail clients, they need to install SOGo Connector , an additional plugin retrofits the CardDAV support that the Mozilla mailer lacks. 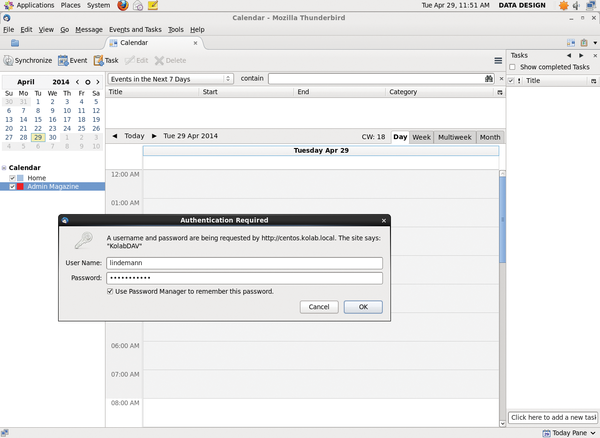 Figure 3: Kolab authorization – Thunderbird, Lightning, and Kolab cooperating via SabreDAV. However, this does not always work smoothly. 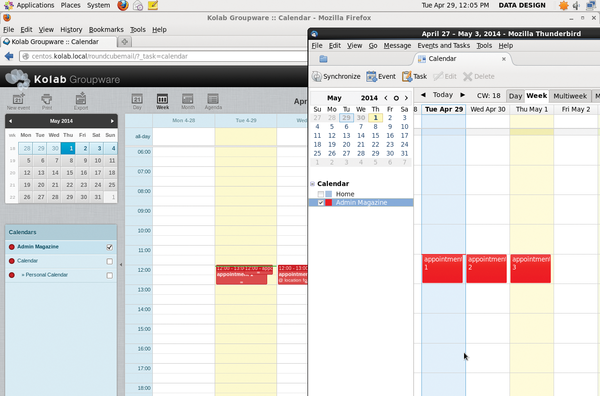 Figure 4: Roundcube, the Kolab webmail client on the left; the same calendar in Thunderbird on the right. Because Mozilla's mailer was not meant for corporate use, it shows weaknesses as a groupware client.